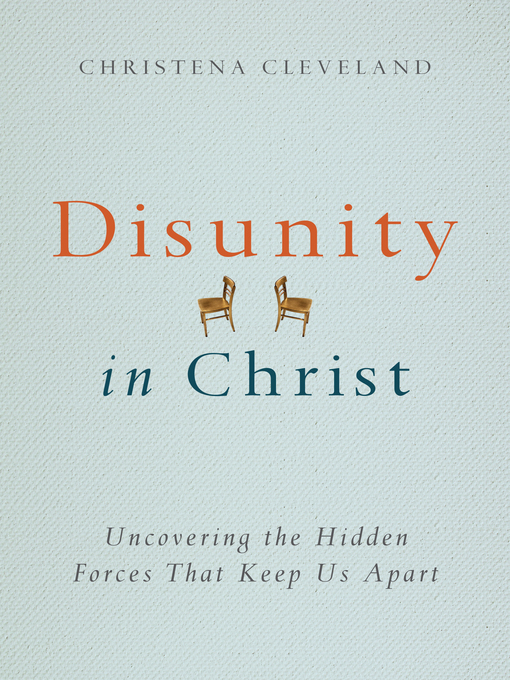 Winner of a 2013 Leadership Journal Book Award ("Our Very Short List" in "The Leader's Outer Life" category) 2014 Readers' Choice Awards Honorable Mention Despite Jesus' prayer that all Christians "be one," divisions have been epidemic in the body of Christ from the beginning to the present. We cluster in theological groups, gender groups, age groups, ethnic groups, educational and economic groups. We criticize freely those who disagree with us, don't look like us, don't act like us and don't even like what we like. Though we may think we know why this happens, Christena Cleveland says we probably don't. In this eye-opening book, learn the hidden reasons behind conflict and divisions. Learn: Why I think all my friends are unique but those in other groups are all the same Why little differences often become big sources of conflict Why categorizing others is often automatic and helpful but can also have sinister side effects Why we are so often victims of groupthink and how we can avoid it Why women think men are judging them more negatively than men actually are, and vice versa Why choices of language can actually affect unity With a personal touch and the trained eye of a social psychologist, Cleveland brings to bear the latest studies and research on the unseen dynamics at work that tend to separate us from others. Learn why Christians who have a heart for unity have such a hard time actually uniting. The author provides real insight for ministry leaders who have attempted to build bridges across boundaries. Here are the tools we need to understand how we can overcome the hidden forces that divide us.